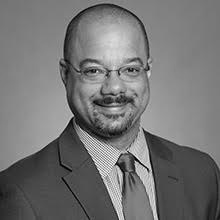 Marcus D. King is Senior Fellow and member of the Advisory Board at the Center for Climate and Security. He has extensive experience with climate change and energy issues in academia, policy-research organizations and the U.S. government. Dr. King is John O Rankin Associate Professor, and Director of the Master of Arts in International Affairs Program (MAIA) at George Washington University’s Elliott School of International Affairs. Boasting nearly 300 students, MAIA is the largest graduate degree program of its kind. Dr. King was previously Associate Research Professor and Director of Research where he worked with the Elliott School’s nine centers and institutes to coordinate over $30 million in faculty sponsored research proposals. Prior to these positions Dr. King served as a globalization planning fellow and special assistant for international initiatives in Georgetown University’s Office of the President. He was also appointed as an adjunct assistant professor. King’s teaching and academic research focus on field of environmental security. His current book project examines linkages between water scarcity and violent extremism. Dr. King joined the Elliott School from CNA Corporation’s Center for Naval Analyses where he led studies for U.S. government agencies on climate change security, resilience, adaptation and energy security. He was also project director for the CNA Military Advisory Board (MAB), an elite group of former admirals and generals that launched landmark reports on how these topics affect U.S. national security. Prior to CNA, Dr. King was Research Director of the Sustainable Energy Institute; and Senior Manager for Energy and Security Programs at a private consultancy. In the 1990s, Dr. King held appointments in the Office of the Secretary of Defense as a foreign affairs specialist in environmental security where he represented the United States for negotiation of the Kyoto Protocol on climate change and the Office of the Secretary of Energy where he directly supported the Deputy Secretary and participated in negotiations on the peaceful uses of nuclear energy with the Russian Federation. Dr. King has presented at academic conferences, written peer-reviewed articles and book chapters and delivered invited lectures to several governments and international organizations. He has been cited by The New York Times, Newsweek, Slate, and Vice Magazine among others and appeared on Al Jazeera. A graduate of the Georgetown University’s School of Foreign Service, King holds a Ph.D. in international relations from The Fletcher School of Law and Diplomacy at Tufts University.